I don't know about you, but ever since last summer i am in love with sweet juicy peaches, especially saturn peaches (they're also called paraguayo peaches or donut/doughnut peaches because of their flat, donut-like shape). So i figured, why not make an ice cream with these! Right? 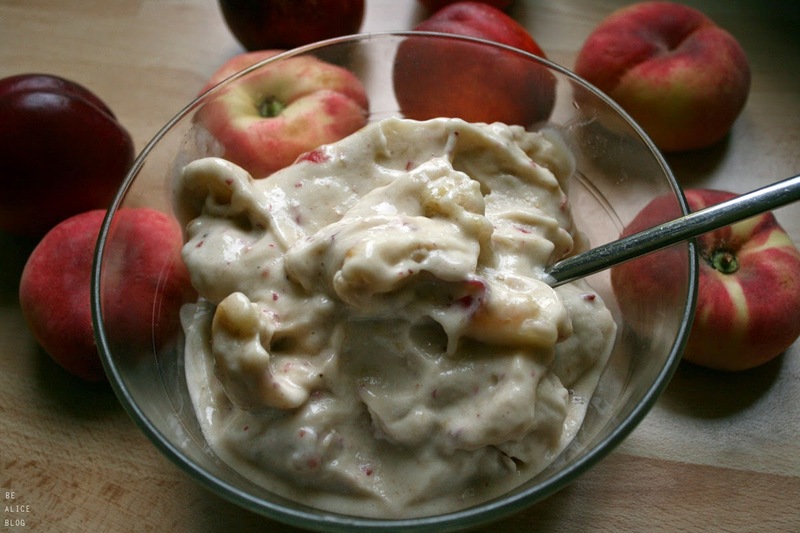 This recipe would work just as well with nectarines though! 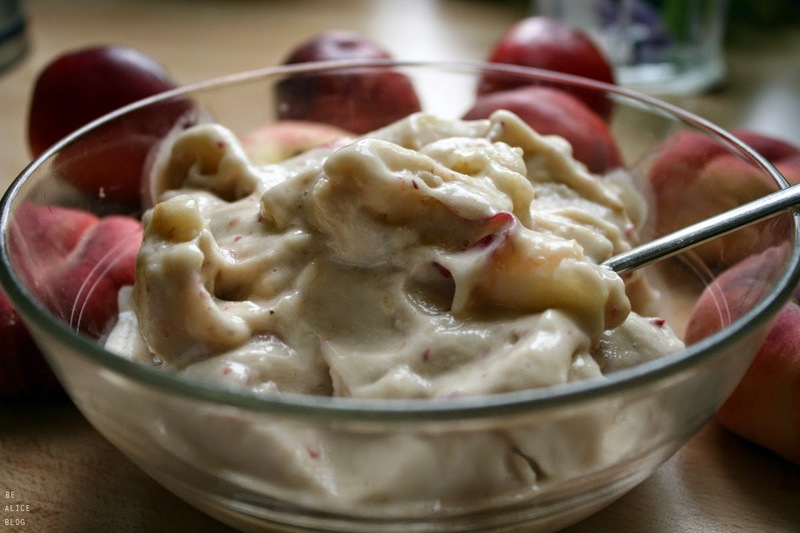 Place frozen banana pieces in your blending machine (high-speed blender, food processor or juicer), blend until just creamy, then add your peaches - i'm using fresh ones, but you could also freeze them and make the ice cream less soft! - If your peaches are ripe, they should be sweet enough for you to not add any additional sweetener (if you do though, i recommend agave syrup or coconut blossom sugar! ).